The rule would increase the salary threshold that an employee performing executive, administrative or professional duties must be paid in order to be exempt from payment of overtime for hours worked in excess of 40 per week. 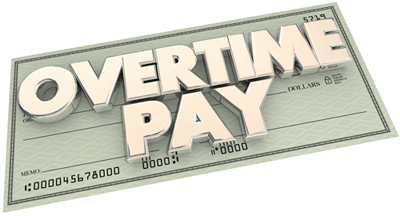 Currently, employees performing duties in a white collar exemption category that make $455 per week ($23,660 annually) or less must be paid an overtime wage, whereas the new rule would make the required wage of $679 per week ($35,308 annually). The rule, if it becomes final, will go into effect on January 1, 2020. It was published in the Federal Register on March 12, upon which began a 60-day period for the public to submit comments. The DOL already received public input in six nationwide listening sessions, as well as 200,000 comments after a 2017 Request for Information while it was developing the proposal. Additionally, the rule would increase the compensation requirement for someone to be classified as a highly compensated employee (HCE) – and therefore exempt from overtime wages – from $100,000 to $147,414, which is equivalent to the 90th percentile earnings of full-time salaried workers, projected to Jan. 1, 2020. Along with the income, HCEs must also have primary duties that include office work or non-manual labor, and they customarily and regularly perform duties of an exempt executive, administrative or professional employee. For more information about the new overtime regulations, contact employment attorney Elaina Smiley at es@muslaw.com or 412-456-2821. By providing your contact information above, you will have access to our total compensation statement software demo. We will send you an email confirmation and you will be taken directly to the video demonstration. To ensure the delivery of your message, please add info@compackage.com to your safe sender list. If you do not receive the email promptly, please check your spam or junk mail folder. Publisher's promise: COMPackage will not sell or rent your email or other contact information to any third parties.